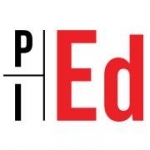 Starting on January 15, 2015, PI Education, a continuing education provider for private investigators, will offer a new online course: Conducting Identity Theft Investigations was written by ID theft and data privacy expert, trainer, consultant and author, Carrie Kerksie of the Kerskie Group, Inc. Conducting Identity Theft Investigations emphasizes the relationship between various types of identity theft and the methods used to steal identities. The course also offers an overview of investigation tools and techniques available to investigators, including security, monitoring, and restoration of a “stolen” identity. This continuing education course is ideal for investigators looking to gain more knowledge about identity theft and investigating identity theft, increase revenue, strengthen their relationship with their client base, gain a competitive advantage and offer year round services to their clients all by offering a much needed service that is in high demand. The course will provide the investigator with the tools required to immediately offer identity theft risk assessment, identity monitoring, and restoration services to his or her clients. The course includes downloadable intake worksheets, check lists, resources, and sample letters. Conducting Identity Theft Investigations is currently available for continuing education credits in GA, IA, KS, KY, NC, NM, OK, OR, & TX. Approval is pending in other states. PI Education makes continuing education both affordable and practical. Students no longer need to bear the expense of traveling and spending time away from work. PI Education courses have been designed by working investigators with many years of experience and a deep understanding of the issues that face the industry.